Jade Dewi Tyas Tunggal together with Ria Soemardjo have drawn on their Javanese heritage to create Opal Vapour. Being familiar with both their work, I anticipated a good show, however my expectations were surpassed by the sheer beauty of the performance and their clever, sensitive engagement with Javanese dance, theatre and music traditions. Javanese dance is not Jade’s ‘home style’, the bulk of her training being in western dance, so I was very interested to see how her comparatively brief training in Javanese dance traditions presented in her performance. 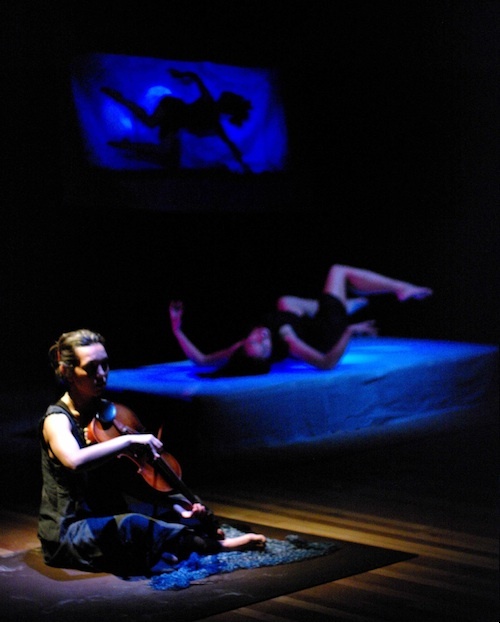 In an earlier incarnation of this project performed at the Victorian Arts Centre, the choreography had a slightly awkward feeling of disjunction as she moved between her western and Javanese movement vocabularies; this performance, however was something else entirely. The choreography had a solidity and wholeness which was really well done; it was intelligently crafted and utterly beautiful. The entire mesmerising performance held an authenticity which came from a transparency of feeling and a real and respectful engagement with the artists’ own cultural heritage. The performance felt very personal, with an intimacy enhanced by the sensitive lighting provided by Paula van Beek. The haunting musical soundscape composed and performed by Ria Soemardjo magnified every feeling elicited by Jade’s movements. The gamelan piece composed by Ria was magnificent. Jade danced on a small raised platform covered with sand which was pushed, flicked and kicked into the air by limb, cloth and even, it seemed, hair. Despite the diminutive platform, Jade’s presence saturated the space, her magneticism and eloquence pulling us into the varied moods of the work. Opal Vapour was built on the evocation of images and symbols: the body (the land?) 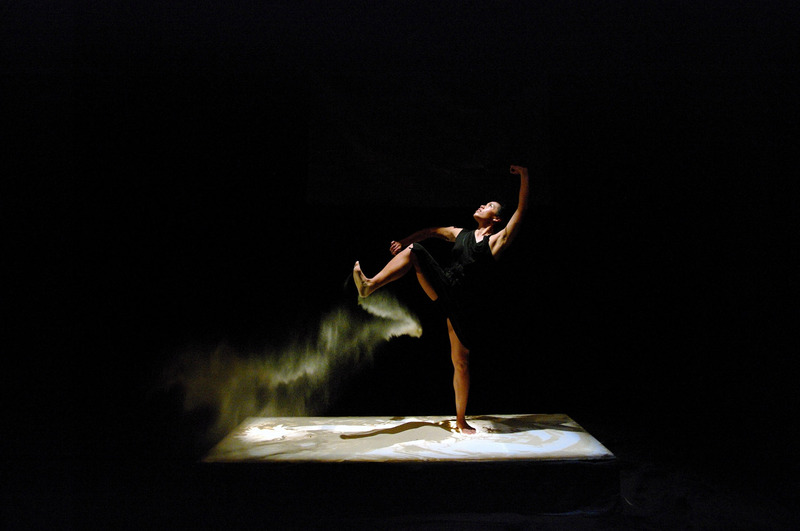 is sung to wakefulness; sand is strewn from the stage in an androgynous weaving of masculine and feminine movement patterns drawn from Javanese court and ritual traditions; wayang kulit -inspired shadow projection showed a body swimming in water before curling up fetal-like with clever lighting projecting heartbeat; hand-woven nets are covering and uncovering, played with and worn. While the images Jade carved with her body are still indelibly embedded in my memory, I have a preference for narrative, so I would love to see in future work a stronger engagement in story-telling as a core feature of many Javanese dance and theatre traditions. I was moved, inspired and excited by Opal Vapour. I think that the artists have taken courageous steps in connecting artistically with their Javanese heritage, and in Opal Vapour this was beautifully realised. Opal Vapour is currently showing at the Malthouse Theatre, Melbourne until October 6, 2012.